message - if you chose 'yes' above. 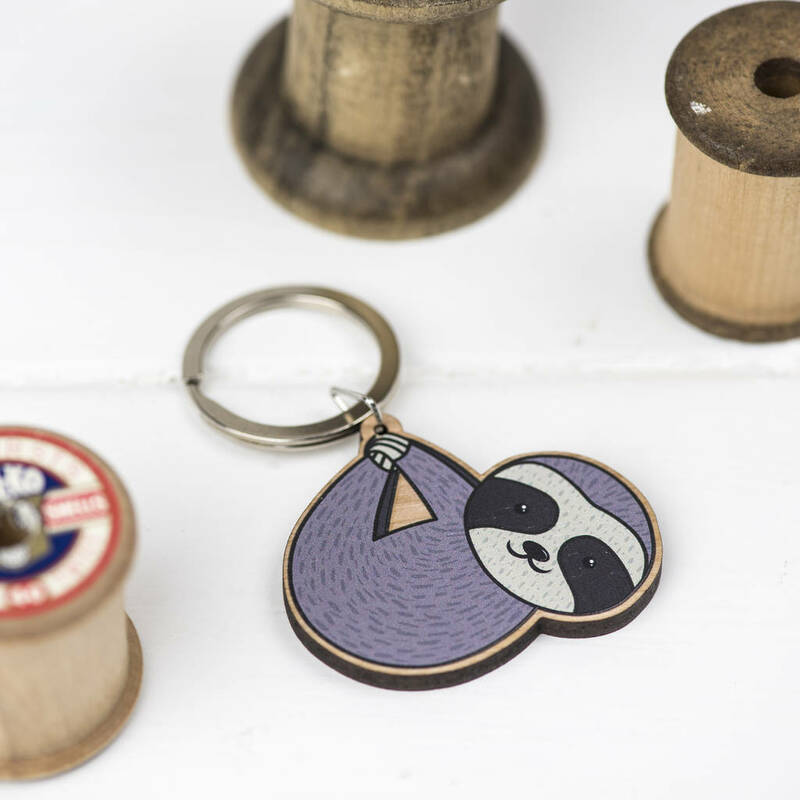 This sloth card with a keyring attached is perfect for any sloth lovers out there! 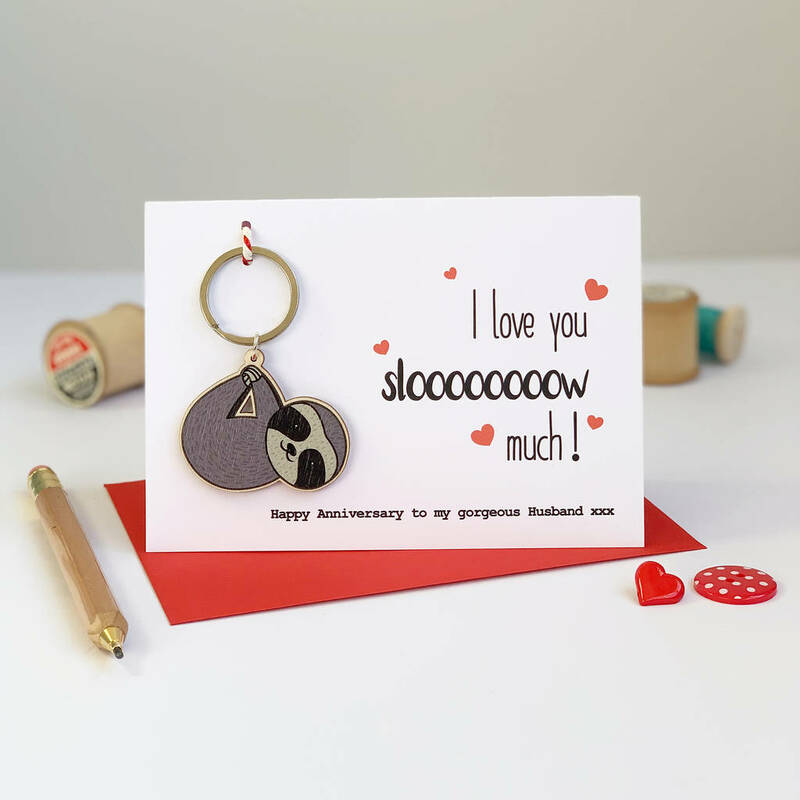 The sloth love card is handmade using quality recycled kraft card and is printed with the words 'I love you slooooooooow much' which is a play on words as sloths are sloooooooow! You can even personalise the card by adding a special message to the bottom of the card. The card is perfect for an anniversary or to give anyone who you love - it would be great for Mother's Day. Attached to the card is a cute sloth keyring which has an picture of a sloth on it which has been illustrated by Miss Shelly Designs. The keyring is made from great quality wood and the illustration has been digitally printed onto the wood. The sloth love card comes with a red coloured envelope. Inside the card is left blank for your own special message. The sloth cards are avaliable in white or brown kraft card and the sloth keyring is digitally printed birch plywood. The keyring is only printed on one side. This product is dispatched to you by Miss Shelly Designs.